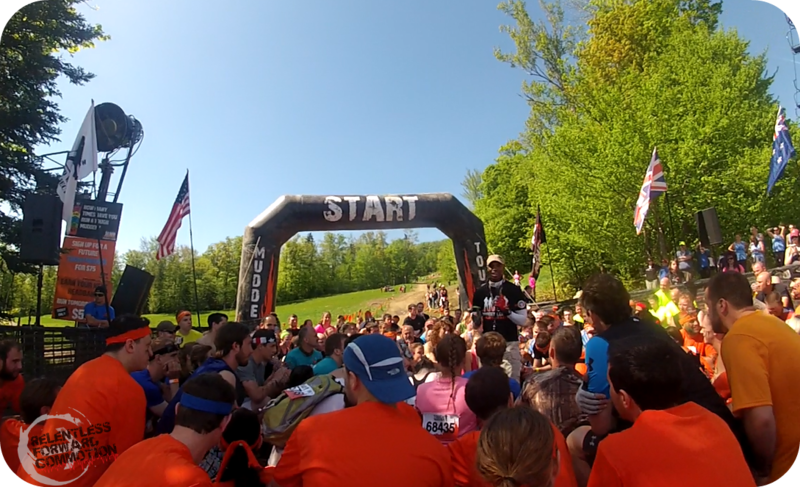 As I stood in the starting corral, forehead marked with my bib number in permanent marker, right hand in the air reciting the Tough Mudder pledge, I started laughing. I turned to Geoff and said “Can you believe this? We’re doing a TOUGH MUDDER.” Like the Hatfields and the McCoys of the obstacle course racing world, I have long stood on the Spartan side of this rivalry, and with many others, vehemently swore I would NEVER do a Tough Mudder. But here I was, surrounded by a sea of black and orange, pledging that I would put teamwork and camaraderie before my course time, and oh yeah, promising that I wouldn’t whine. It was no secret that I was a little nervous toeing this start line. You see, rumor on the streets is that while the Spartan Race series likes to test your physical and emotional grit by making you do things such as carry 60 lb sandbags up massive black diamond ski trails; Tough Mudder on the other hand likes to scare the crap out of you, with things like electric shock and very small tunnels submerged under water. 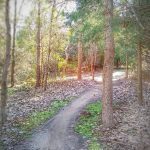 This rumor had gotten into my head, and had me second guessing what we were going to face on the ten mile course. But there was no turning back. 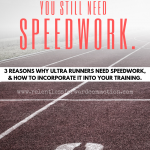 – The organization and execution of the race was top notch. I joked a few times that I felt like I was at Disney World…the marketing was so perfect it was almost overwhelming. Check in/registration line moved fast and efficient. Course marking was excellent, volunteers were excellent, and the safety precautions at the more dangerous obstacles were absolutely on point. – The course itself was fun…but not overly difficult. Some of the obstacles were incredibly unique (more on that below) but others were merely “speed bumps” on the course that I was shocked were even considered obstacles. 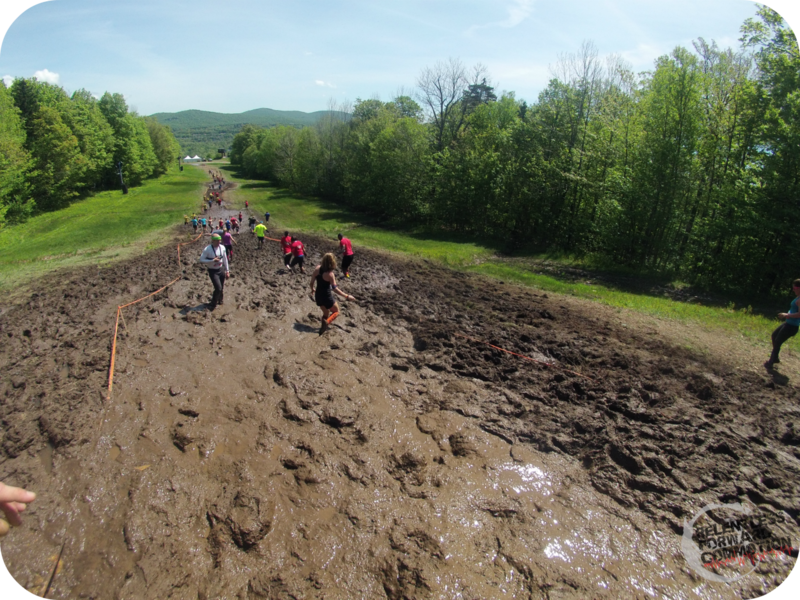 Come to find out via numerous other reviews (like these from the New England Spahtens) this is not the norm for Tough Mudder, and it appears the course has been watered down. 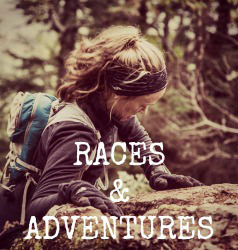 It is very interesting to me that the self proclaimed “Toughest Race on the Planet” is scaling their obstacles down, when numerous other brand new events are popping up with bigger and badder obstacles every day. – The camaraderie made my heart smile. 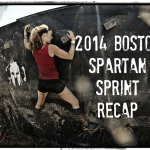 Tough Mudders are NOT timed, and it is emphasized that they are NOT competitive. This showed in the fact that not only will someone stop to help you over a wall, but they will stop and hang out for ten minutes or more at one single obstacle to help numerous people out. Long story short: I’m glad I did a Tough Mudder. And truth be told, I’d like to do another…especially now that I hear that this one was not indicative of Tough Mudder as a whole. I’m not jumping ship to claim that I now only “bleed orange”, but I’m happy to be able to say that I spent the day out on a Tough Mudder course with some amazing people. So if you are on the fence about doing one…do it. You won’t regret it. Port-a-potties: tons. Never had to wait in line. 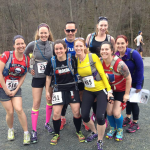 I usually prefer to race Saturdays, but a prior commitment forced us to tackle the 2014 Mt. Snow event on Sunday. As it turns out…this was a great stroke of luck. There were hardly any clouds in the sky and it was quite warm; my fears of possible hypothermia vanished quickly. What’s more, from what I understand, the Sunday crowds are far less intense. We waited in ZERO lines during the race, which was fantastic and totally unexpected. Because we were given media passes, I was unsure of what time our wave was. I asked a friendly volunteer at the first starting corral when I was supposed to run, and he said that they weren’t really enforcing times, so I could hop in whenever I liked. 250 were allowed in per wave, so Geoff and I hopped into the 10:00 wave. As it turned out, the first corral we were in was merely a “holding” corral; about 100 yard further was the actual starting corral. Once we were released from corral #1 to the actual start corral, we were greeted by the infamous Sean Corvelle, master of starting line speeches. He asked us to take a knee while he stood in the center of the crowd and gave us a few (well, almost 10 minutes worth) of motivation. 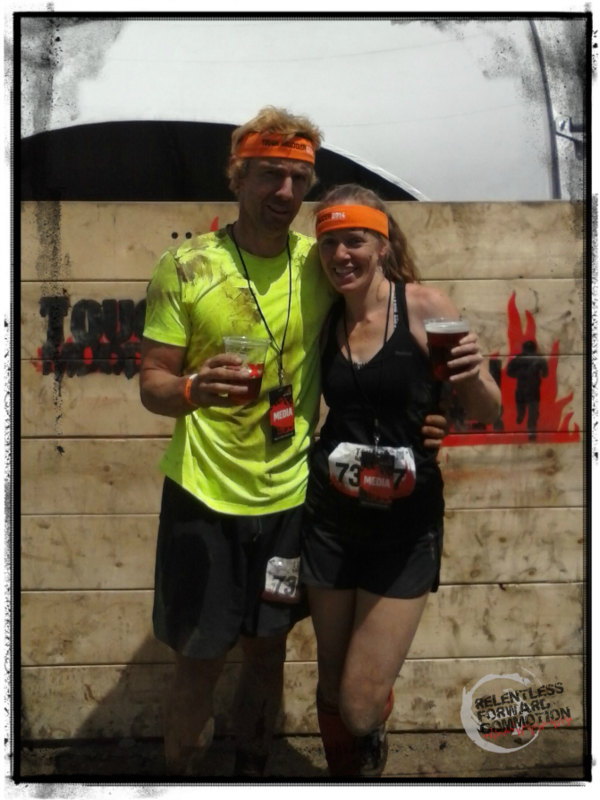 Finally we stood, took the Tough Mudder pledge, faced the flag for the National Anthem, and then ran through the starting line to what else but Drop Kick Murphy’s “I’m Shipping Up To Boston“. Side note: I wonder if the Murphy’s ever had any inkling that this song would one day be played at the starting line of every single OCR in the New England region. 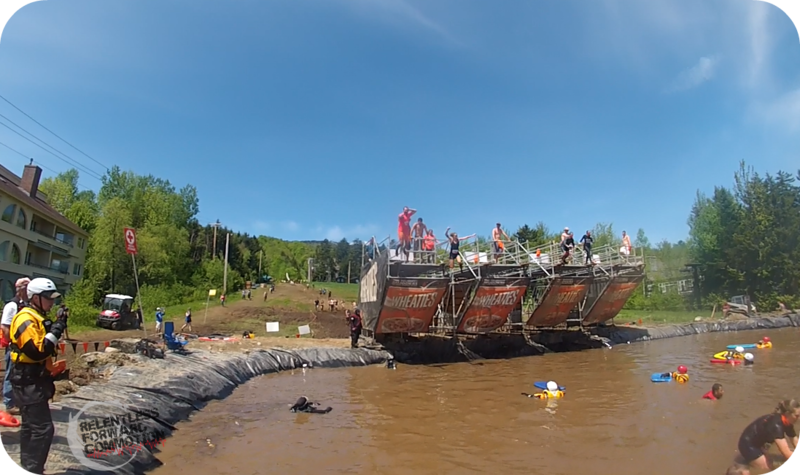 First notable difference between Tough Mudder and Spartan Race: had this been a Spartan,we would have immediately taken a direct route straight up the steepest ski slope available. Instead, we had a more round about, zig zag route that took us uphill. I appreciated the chance to warm up. That said, there was a lot of climbing in this race. 3370 feet over 10.1 miles to be exact. I’ve pretty much come to expect this of any race held at a ski resort; the mountains are built in obstacles. So while I won’t mention it between the obstacles listed below, know this: we climbed A LOT. It wasn’t very muddy. But it was an uphill barbed wire crawl that was extremely low to the ground: you either army crawled or got caught. There was no hands & knees for this one, making it much tougher than it appeared. 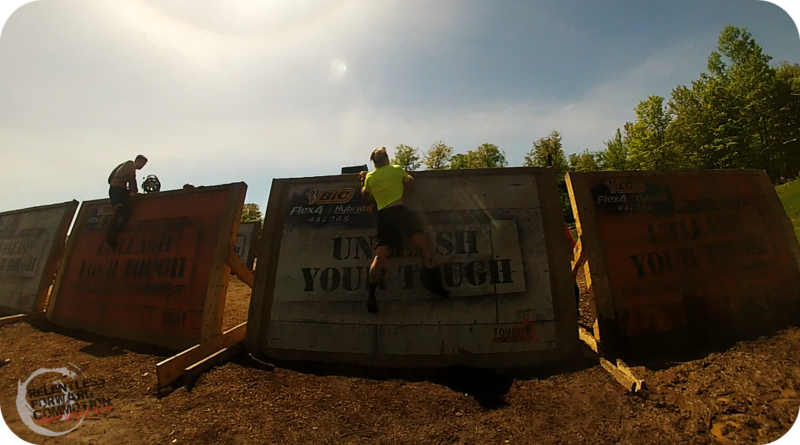 Tough Mudder speak for two inverted walls. Nothing overly complex. Incline/decline monkey bars over water. Thankfully, everyone had dry hands and the bars were relatively close together, making this one not nearly as difficult as I expected. There was certainly an intimidation factor, however. I got halfway through and panicked a little…if you fall at that point, it’s a much longer way down! A huge, heavy, fishing net that you had walk under. This was much better done as a team, however, the group I was with at that time consisted of a bunch of guys much taller than me. I tried to do my part in holding up the net, but since they were all taller than me, I pretty much just went through the motions. Simply a bunch of gratuitous muck we walked/ran through that varied from ankle to shin deep. It was pretty disappointing that this was considered an obstacle. Crawling through it would have been more entertaining. Arcit Enema. Probably the most ridiculous obstacle I’ve ever done. I loved it! Basically the idea is this: jump into a pool of water FULL of ice (water temp averages about 34 degrees), swim UNDER a wall, and hop back out on the other side. This was an obstacle that I was dreading, because I typically have such a hard time maintaining body heat. However, it was actually kind of hot out, so I went for it. I was instructed to leap as far as I could towards the wall, thus avoiding the time I had to spend making my way towards the wall. I jumped in, and immediately thought “this isn’t so bad”. Two seconds later the cold hit me (in the video below, you can see the same, hilarious, delayed reaction on Geoff’s face). I immediately started to freeze up. Having heard stories of people just stopping dead in their tracks in this obstacle, I instinctively knew that I HAD to get under that wall right at that very second…if I delayed at all it probably wouldn’t happen. I dove under, and immediately surfaced on the other side. It felt as if someone had ripped my lungs right out of my body…I simply could not breathe. I ran for the other side as fast as I could, which felt impossibly far away, and my movement incredibly slow. I struggled getting my feet on the ladder, but as soon as I was able to start climbing out, I started laughing hysterically. After getting out of the pool, I had the most insane endorphin rush I have EVER experienced. 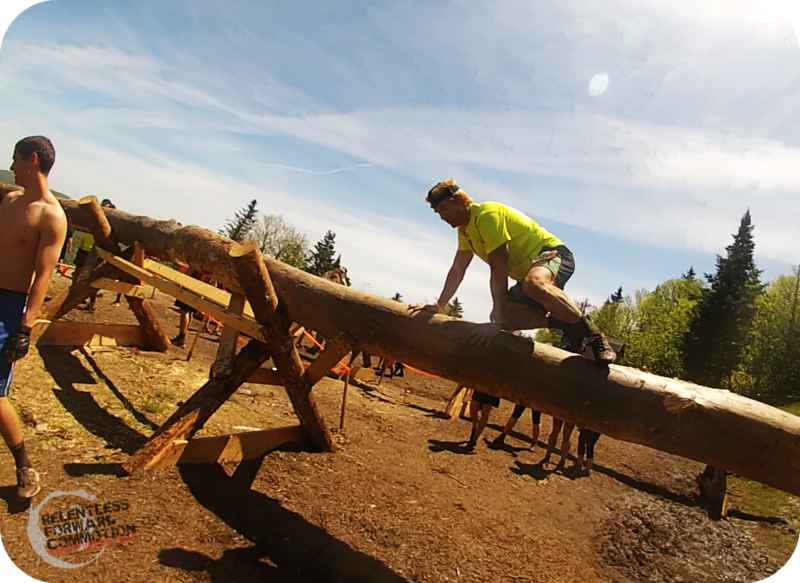 It was really awesome, but in retrospect absolutely terrifying to know that endorphin rush wasn’t so much the accomplishment of the obstacle, but instead my body basically going into survival mode. Quagmire – hardly an obstacle. A single 15-20 foot long puddle that barely covered my knees. Another “speed bump” if you will. Walk the Plank … and me, mid air! Geoff opted not to do this one, as safety has been a huge concern with this obstacle since the unfortunate death of Avishek Sengupta in the Mid Atlantic race last year. 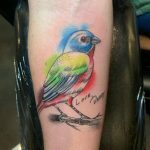 I however, went for it. It must be noted that the safety precautions taken on this day were above and beyond. There was one life guard in the water per every two jumpers, life guards behind those as backup, and lifeguards at the top of the “plank” informing racers when they were allowed to jump. I thought it was fun, and appreciated the added safety measure Tough Mudder has clearly taken. A wall, with some ropes on either side, that you had to navigate over. At the top there were numerous bars available to help you climb over. For some reason, I froze at the top, like I had never climbed a wall in my life. I just couldn’t figure out how to get over, and I let the “hey I could fall off of this” thought get into my head. Thankfully, a really nice guy at the top talked me through the whole thing. Geoff on the other hand, made this look like a piece of cake. A series of two (I think it was only two?) very large walls. I’d guess 12 + feet? 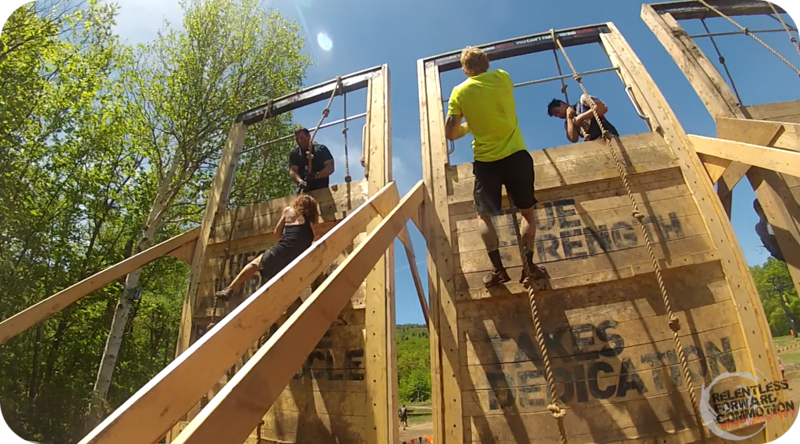 This was probably the toughest obstacle of the race, in my opinion. A series of three log jumps. The logs were about 5 feet off the ground and very wide in diameter, making it harder to get a grip once you were on the top if you tried to climb them in traditional wall style. So, I had seen videos of this obstacle and it looked pretty neat: poles you must navigate with your arms only in order to not fall into the water. Pole Dancer at Mt. Snow felt like something that should have been on an elementary school playground. Pole Dancer. Me on the left, showing the boys how it’s done. Geoff on the right, just showing off. 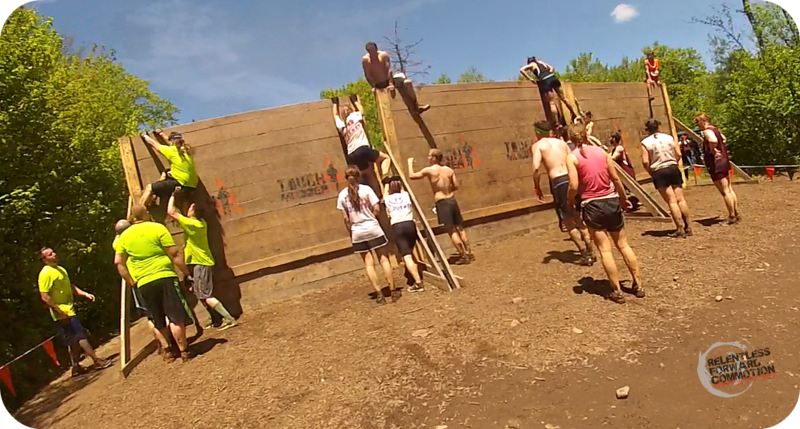 This was a giant slippery wall that most people could not run up alone, thus forcing team work. The idea is to form a pyramid, as seen in the photo above. However when we went through the obstacle, the group consensus was to just run as far as you could and let everyone at the top pull you up. 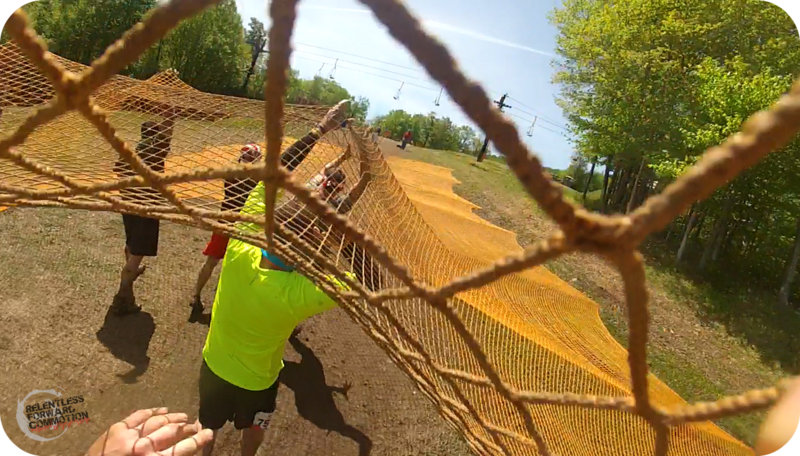 This was one of the obstacles that truly gave off the Tough Mudder “vibe”. People didn’t care about their time, or how long they stayed behind at this obstacle to help others, they just did it. It was awesome. Also, I adore the enthusiasm of the man in orange in the video below. Thank you sir, for putting a smile on my face. GET SOME! Honestly? Pitfall was pitiful. A few puddles to wade through that didn’t get over knee deep. Another disappointing “speed bump. This was a salute to fallen and wounded soldiers: carry your buddy to a halfway point, switch, and have them carry you the rest of the way, maybe 100 yards total. Stubborn Geoffrey carried me the entire way without switching. I didn’t complain. This was the point where the new “Legionnaires’ Loop” began. 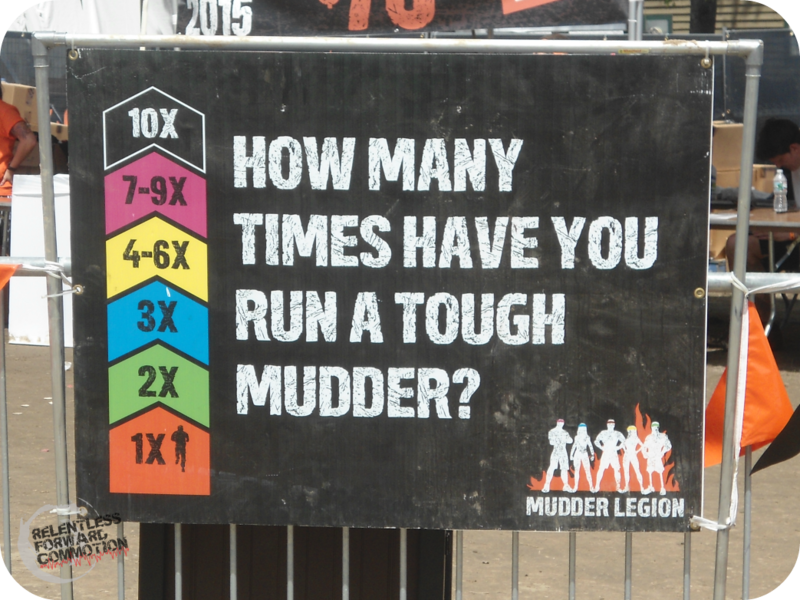 Basically to become legionnaire, you have to have run more than one Tough Mudder. 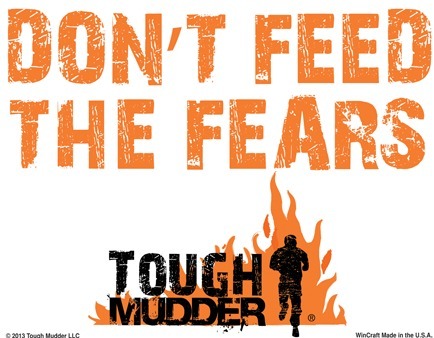 This is a new initiative that Tough Mudder began this year, and they advertised it EVERYWHERE. It almost felt like peer pressure: we weren’t in with the cool kids quite yet. I’m still in the 1X crowd. 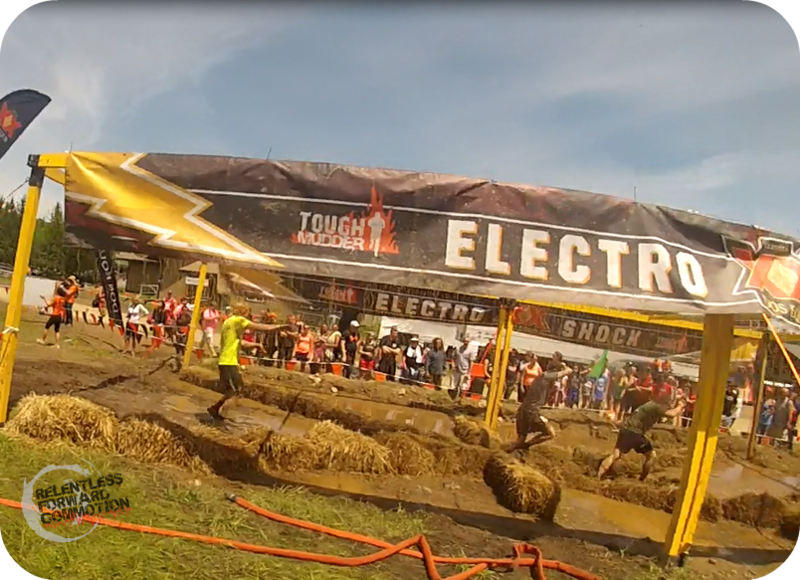 Last up on the first timer’s loop is ElectroShock Therapy. I had gone back and forth about wanting to do this one, and ultimately decided that electric shock just isn’t my thing. There would be nothing “fun” about it, nor would I feel any pride in having run through it. So I filmed Geoff instead, who ran with the most hilarious and probably not suggested form ever: he tried to push all of the wires out of the way. Geoff said that the zaps felt like someone snapping you with a rubber band over and over; with the exception of one that hit him in the hip and felt like an uncontrollable muscle spasm. He said today he can still feel some muscular pain in that area. We were sent up another little hill, around a corner, and through a finish line. 10 miles and about 3.5 hours later, I had officially joined the “Mudder Nation”. A volunteer put the official orange headband around my head, another handed me a giant promax bar, and a third handed me a large cup of Dos Equis beer. No heading to a beer tent to wait in line, they give them to you before you even exit the finishers corral. So there you have it, my first Tough Mudder experience. Final thoughts: Fun course, great people, really light on obstacles and not overly difficult, but certainly forced you to face some intense mental challenges. 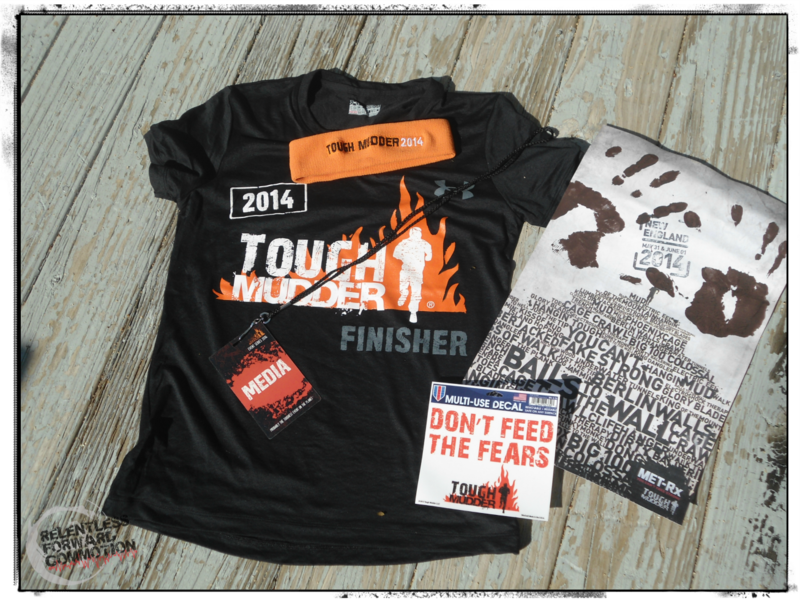 Will it be my last Tough Mudder? Only time will tell. But I will say this: if you are on the fence about trying one, don’t hesitate. 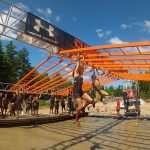 Tough Mudder is most definitely a matriarch in the obstacle course racing world, and is one that must be experienced before you judge it (as I learned myself.) Thank you Tough Mudder, Mt. Snow, and the “Mudder Nation” for a wonderful day of playing in the mud! 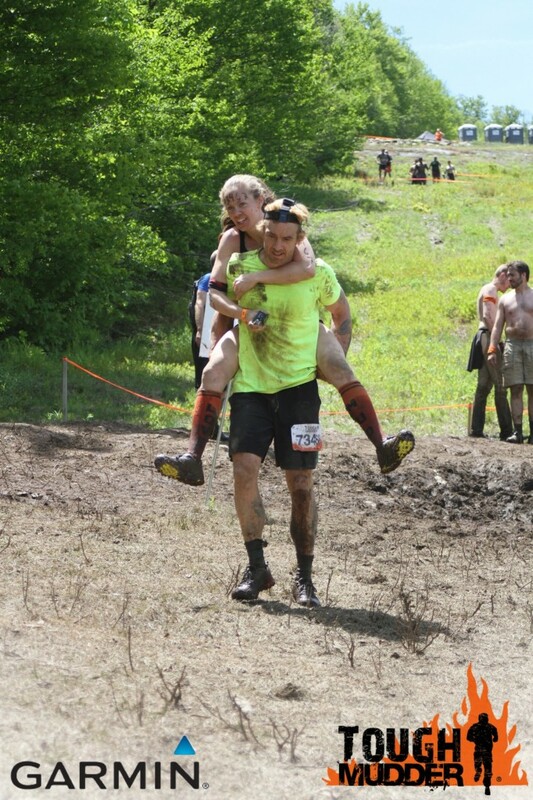 Shwag from our first Tough Mudder. 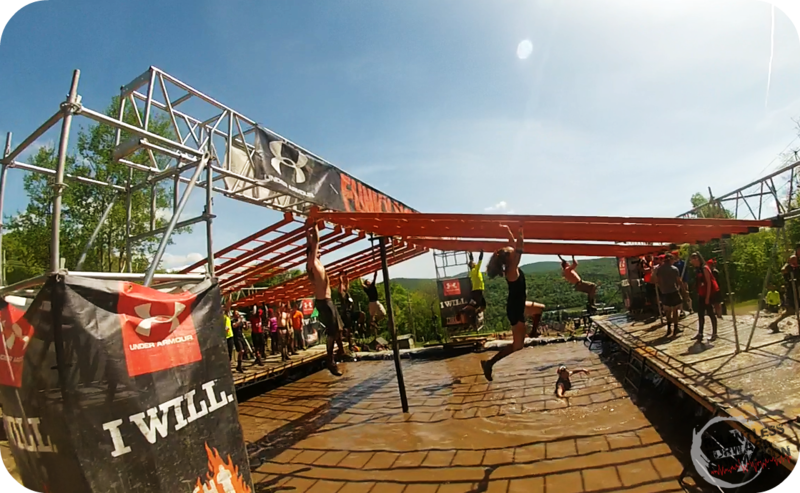 *special thanks to Obstacle Racing Media and Tough Mudder for this opportunity. All opinions expressed are solely my own. IM NOT A TOUGH MUDDER. I think you could have done the Legionnaire’s Loop. I ended up teaming up with 3 Spahtens that were doing the race through media as well and they were able to go that way with their media passes. I watched them from the rally point so we could finish together and you were right about the obstacles. They had to run through some silly hanging sheets that said there were huge shocks on the other side (just kidding, nothing there), then they had to carry a log downhill a bit, then crawl through a tube uphill with said log, then they got in line to climb up and go down Fire In Your Hole. 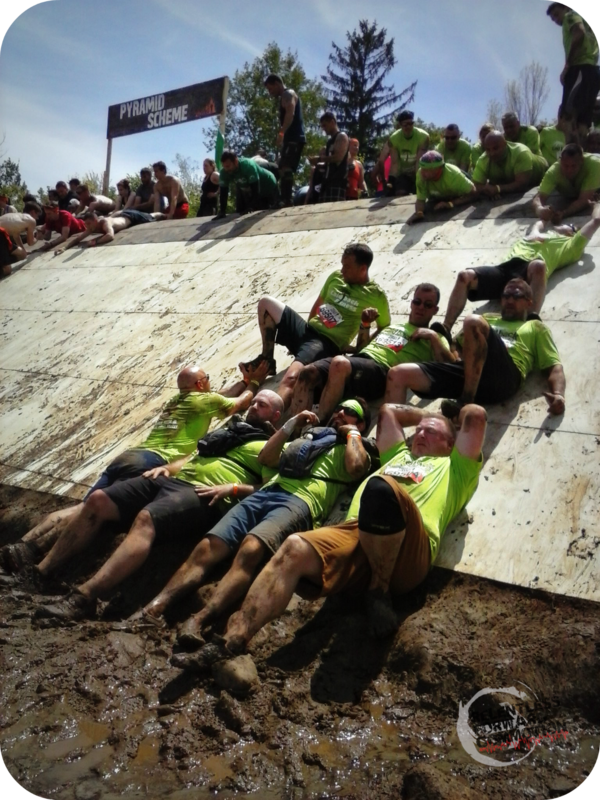 Electroshock wasn’t so bad, but it took us 7.5 hours to finish (my trio I joined up with was carrying a 60 lb sandbag the whole way) and they said towards the end of the day the batteries die down. I think I only got zapped twice and it was just a little jolt, no muscular pain like Geoff. Great review! 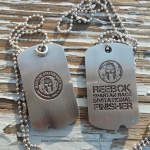 The only OCR I have done was a Spartan, way back in 2010, and I loved it. 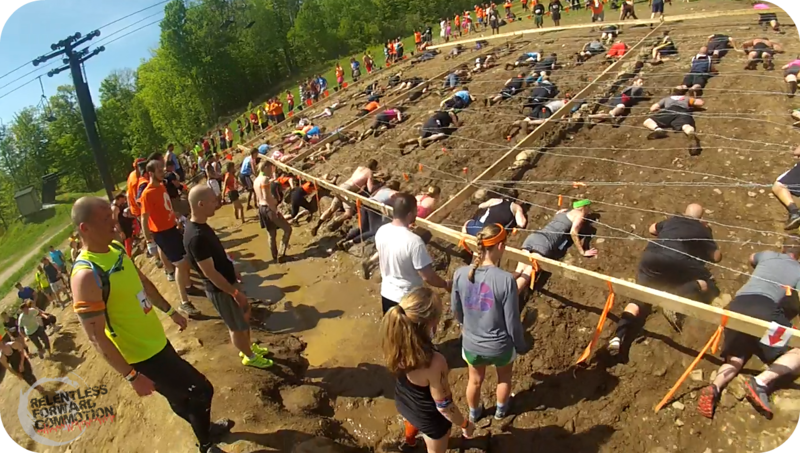 I think the thing that really holds me back from the Tough Mudder is the electro shock, seems silly to me. I do love that they hand your beer to you though, double thumbs up for that! Kelly don’t let the electric shock scare you from doing it. 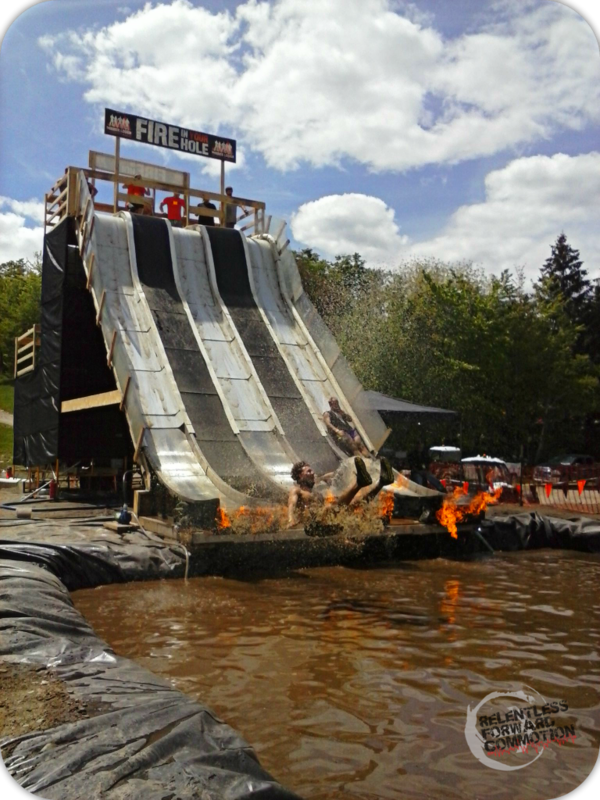 This was my 1st Tough Mudder as well, I did it on Sat. The electric shock is really not so bad, IF you don’t touch the wires, you can find a course to follow thru and the wires are spaced apart enough, I only got hit on the shoulder right at the end. It was a great time. 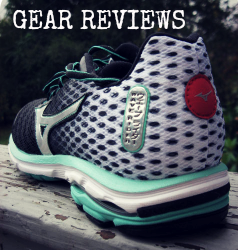 Great review and loved the pics!! Great Review! 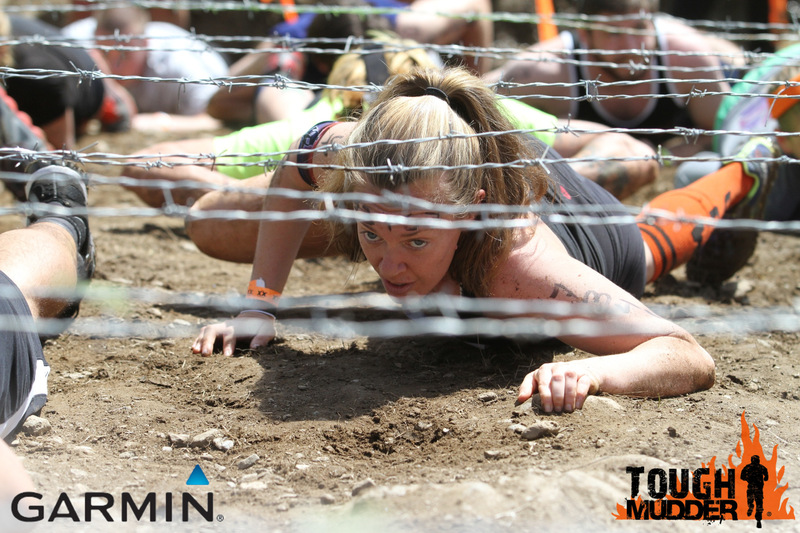 This was also my first Tough Mudder and I completely agree with your review. As a male who is physically fit, I was disappointed at the overall difficulty of the course. The hill climbing was unrelenting (the Tough Walker) but the obstacles were hardly a challenge at all. 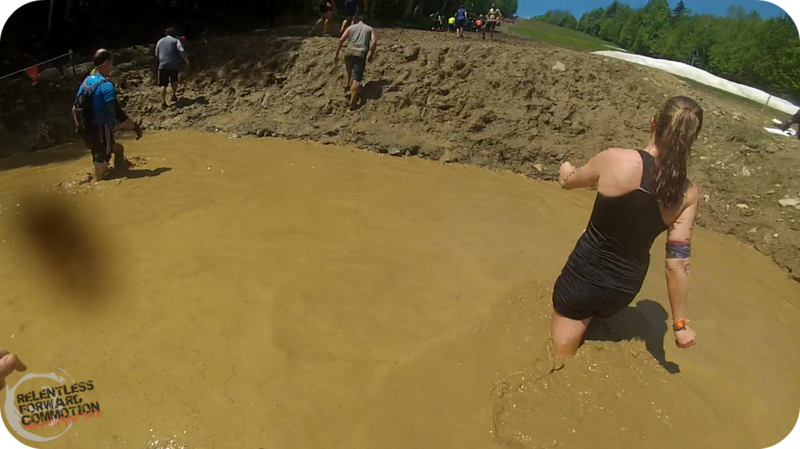 I was shocked at how little mud actually got on my body. Some of the smaller obstacles were extremely unchallenging and as you stated, a mere speed bump. I’d of appreciated a few dirty, mud crawls and some events that were actually physically strenuous. I see where the Mudder is going. It’s changed from the “Toughest Race on the Planet” and expanded to a wide market of “Average Joes”. 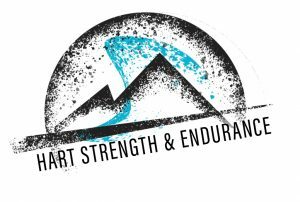 This allows more people to participate and “humble-brag” about completing the “Toughest Race on the Planet” on their social media accounts. My gate time was 8:20 and we didn’t hit any logjams at the obstacles. It sounded like the afternoon groups were backed up at every event. Overall, it was fun and I would do it again. I participated with two good friends and we laughed the entire time. But make no mistake about. This is NOT the Toughest Race on the Planet anymore. Thanks AK! 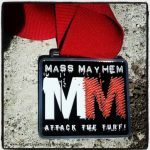 I’m tempted to run the Great NorthEast race in Portland Maine. I hear it’s not nearly as hilly nor on a ski mountain 😉 so chances are they will bring out more obstacles. I hope? I can’t believe you did a TM! After trying to do it twice and not being able to due to no fault of my own, I might be ready to give them another chance. Looks like they have revamped somethings and are taking safety seriously. Thank for the great post! Aww thank you <3 Yes, GoPro! We do a running video , and then when I get home I just pause the video and take screen shots to make the still shots. I'm sure there is a more appropriate technical way to do it, but I haven't figured it out yet, haha!